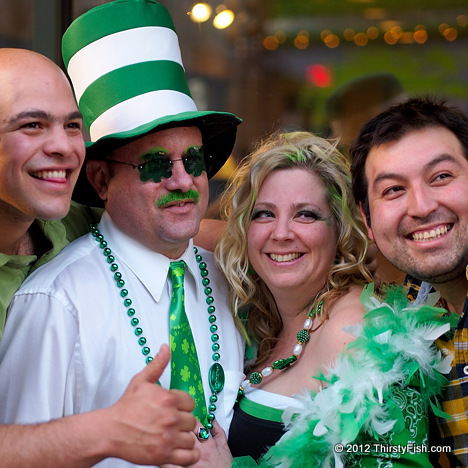 There are an estimated 36 million Irish Americans, those who can trace their ancestry to Ireland, in the United States. 22 of 44 American Presidents, including President Obama, are at least part Irish. Irish have been immigrating in waves to the United States since the 1600's. Between 1830 and 1914, almost 5 million Irish came to the United States. Before the Irish Potato Famine of the late 1840's, the population of Ireland was estimated to be 8.5 million. Today, 160 years later, the total population of Republic of Ireland and Northern Ireland is 6.1 million. It is estimated that 9 to 10 million Irish emigrated during this period. The Irish diaspora is among the largest in the world, with 80 million people worldwide claiming some Irish descent.